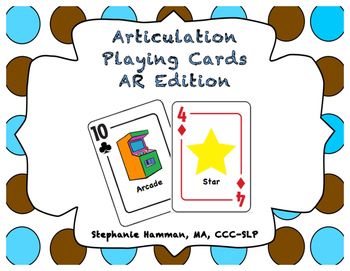 Vocalic AR Articulation Playing Cards!! 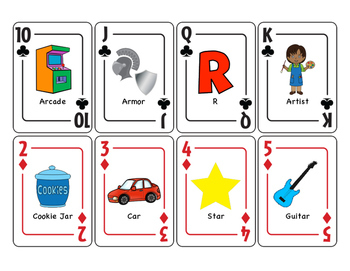 GREAT for playing engaging card games such as War, Garbage, and Crazy Eights, while also incorporating plenty of target sound productions! 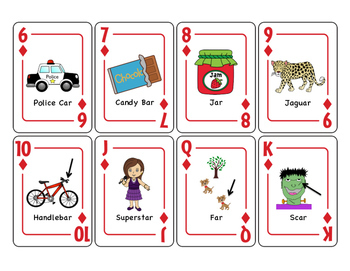 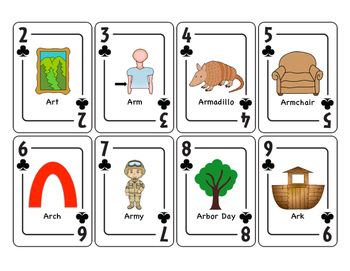 This set includes 52 playing cards with initial, medial, and final AR pictures and target words, making it easily accessible to both readers and nonreaders!